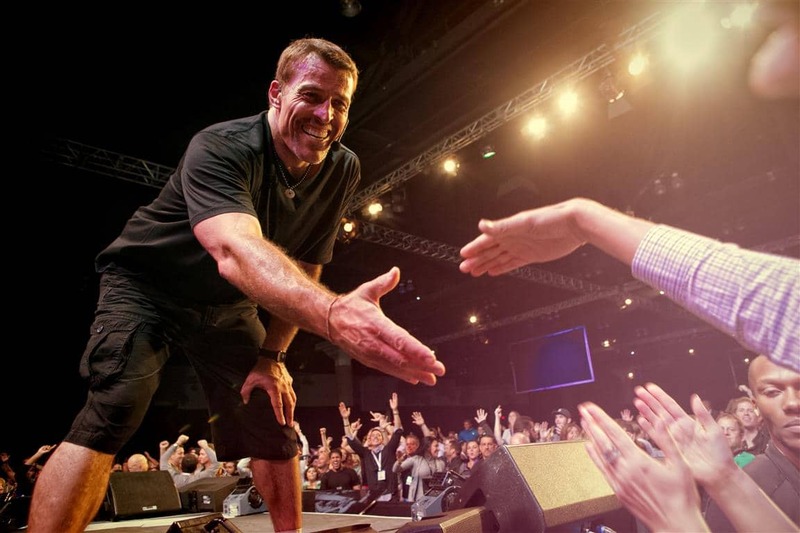 Tony Robbins is an American best-selling author, businessman, and philanthropist. He is best known for his books such as Awaken the Giant Within, Unlimited Power, Money: Master the Game, Unshakeable and his latest documentary I Am Not Your Guru. He has served as a key advisor to renowned world and business leaders for more than 38 years. 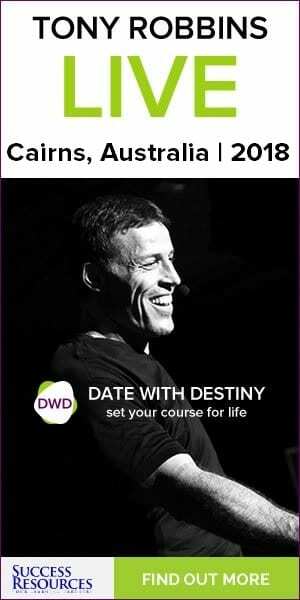 He has an incredible ability to distil complex strategies into simple and powerful models that anyone can apply immediately to produce measurable and lasting results. Check All Upcoming Events in USA Here! See All Events in the US and Get Your Tickets Here! 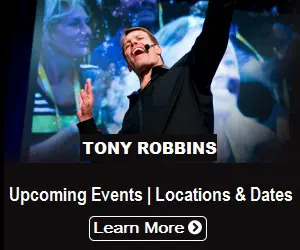 Tony appeared as a featured speaker at the 2006 Ted Conference and his speech was one of the most-viewed videos. You can watch his talk below. Want to roll out an improvement in your life? Wondering how to get to the most explosive growth? Want a change in your body, in your emotions, in your finances, in your relationship in the shortest period of time? This article helps you to discover what controls the way you think, the way you feel and what you do in your life. A large portion of the general population is on an automatic pilot letting the world trigger us instead of taking back control of your life. Anything you need to change requires the right strategy, and you got to know the things that give you lasting results. Successful change in your life happens when you get real in these three ranges. When you set goals for yourself, you undoubtedly have the very best of intentions. You want to succeed with your goals and reap the many rewards that come with making successful and vital changes in your life. Just when you are ready to take the necessary actions and make those vital changes; life gets in the way and you are unable to remain focused on your goals. If you cannot remain focused, you will lose momentum and fail to make the progress you desire. The clearer you are about what you want, the easier it is for you to discover what you are looking for. If you attempt to make various important changes in your life at the same time, you will be confused and stressed. It is hard to juggle a number of things at the same time. Concentrate your energies on only one task. This will increase your chances of being successful. Once you have a clear goal that has been linked into your mind, and a clear plan in place, it is very important to invest in the right skills and strategies you need to achieve your goal. In the world of business, companies invest millions in research to develop strategies to win in the marketplace. It is exactly same as your goal achievement. Many individuals hop directly into the execution of their objectives, rather than studying their goals first and developing a strategy. Once you know that which skills and strategies are right to bring desired change in your life, you will be able to determine which activities you’re doing are important and which ones aren’t. It also helps you to identify what you should be working on and what is going to move you closer to where you want to be. Now if you know what it is you really want and you give it total focus and then you have got strategies that are absolutely proven to work but still you aren’t doing anything, that’s because you are missing the third pillar of sustainable success. That is you’ve got to eliminate the inner conflicts. There may be situation arises when you know the exact path to achieve your desired goal but simultaneously your fear pulls you back and so you’ve conflict between your desire and your fear. The reason you’re not getting what you want is there’s inner conflict. Ignoring inner conflict can lead to other issues which can cause even more stress. Create an alignment in you so that every part of you wants to move forward and then you will be pulled towards what you want. When you can summon the courage to allow yourself to acknowledge and experience your inner conflicts and then have the courage to act in alignment with what you truly believe, the more enriching your life will become. If you get those three pillars in place and there is no part of you holding you back, you will succeed. Listen to the possibilities, not the limitations. Change your mindset to help you achieve your goal. Every change is possible if you are truly sincere and committed.